Romeo has been struggling a bit getting into position for breeding (it's been a while), but conservationists are hoping he'll figure it out and the two can get to work building a family (more here). Read Romeo's full story below. 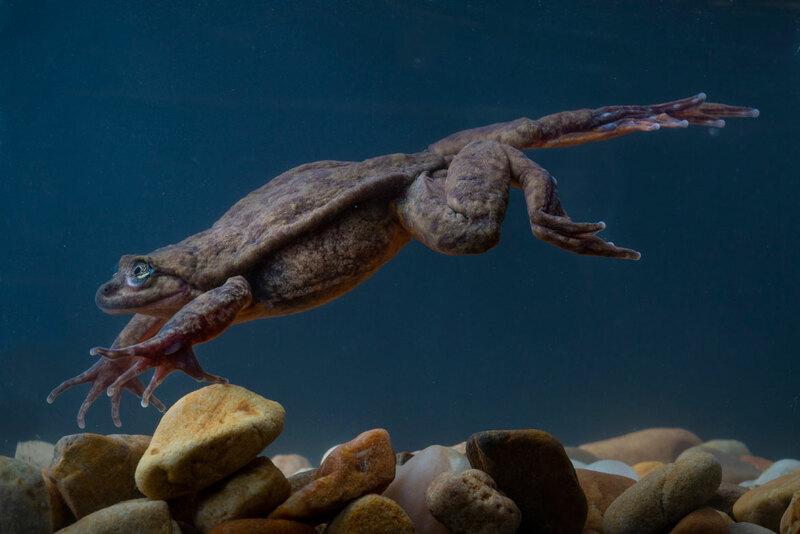 After ten years of singledom, Romeo the Sehuencas water frog finally has a chance to get back in the dating game. 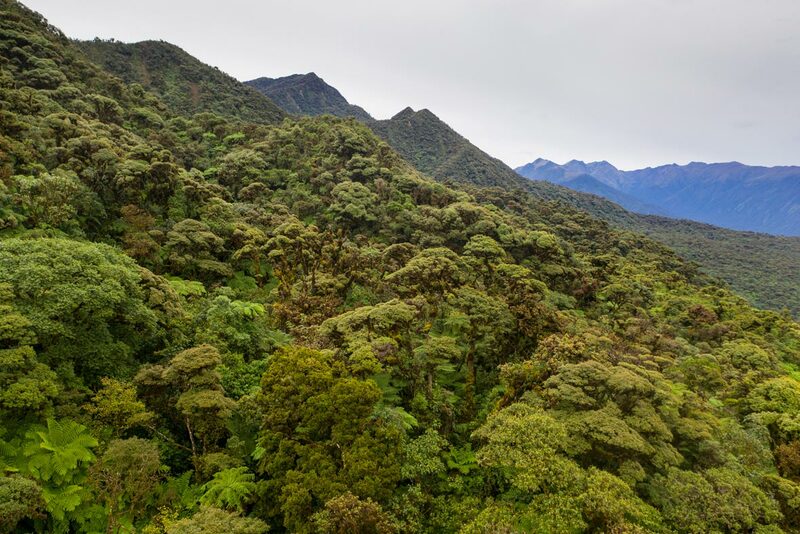 His solitary streak will be broken thanks to a research team that braved Bolivia's remote cloud forests to track down a 'Juliet' for the lonely amphibian. The discovery marks the first time since 2008 that the species has been recorded in the wild. Once thought to be the last of his kind, Romeo has been leading a solitary life in Bolivia’s Cochabamba Natural History Museum ever since he was scooped up by researchers who were hoping he could kickstart a breeding programme for the imperilled amphibians. But efforts to find Romeo a mate had thus far been unsuccessful. Sehuencas water frogs typically live to be about 15 years old and Romeo was already into the double digits. Desperate to track down a female before Romeo lost interest in such things (he had apparently already given up on croaking for a lover), researchers from Global Wildlife Conservation and the Museo de Historia Natural Alcide d’Orbigny teamed up with Match.com last year to launch a fund-raising campaign for the lovelorn amphibian. They created a profile for Romeo, complete with interests (food) and partner preferences (stocky, two to three inches tall), and encouraged the public to donate. “It is an incredible feeling to know that thanks to everyone who believes in true love and donated for Valentine’s Day last year, we have already found a mate for Romeo and can establish a conservation breeding program with more than a single pair,” said Teresa Camacho Badani, the museum’s chief of herpetology and the expedition leader. While tracking down the frogs was a conservation win, the species is by no means in the clear yet. “Now the real work begins," Badani explains. "We know how to successfully care for this species in captivity, but now we will learn about its reproduction, while also getting back into the field to better understand if any more frogs may be left and if so, how many, where they are, and more about the threats they face." All five of the frogs have been carefully transported to a breeding facility at the museum’s K’ayra Center for Research and Conservation of Threatened Amphibians of Bolivia where they are currently being quarantined while they settle into their new home. The frogs will also be treated for chytridiomycosis – a deadly infectious disease that is partly to blame for drastic declines in amphibian populations across the globe. When conditions are just right, Romeo will be introduced to his Juliet. Badani is cautiously optimistic that the pair will hit it off, despite their noticeably different personalities. "Romeo is really calm and relaxed and doesn't move a whole lot," she told BBC News. "He's healthy and likes to eat, but he is kind of shy and slow." Juliet, however, is a different frog altogether. "She's really energetic, she swims a lot and she eats a lot and sometimes she tries to escape." Perhaps opposites will attract. Bolivia is a hotspot for amphibian diversity, however, at least 22 percent of the country's frog species are at some risk of extinction. Habitat destruction, chytridiomycosis, pollution, climate change and the introduction of exotic species (such as trout that eat frog eggs) all pose a threat to amphibian survival. Conservationists are hopeful that the tale of the Sehuencas water frog will have a happy ending. While repopulating a species from captive-bred animals can be a challenge, amphibian reintroduction programmes have proved successful in other areas in the past. At least ten populations of Mallorcan midwife toads have been successfully released in Spain and the Kihansi spray toad will once again hop its way across Tanzania soon thanks to a captive breeding project in the US. For now though, let's just hope Romeo's first blind date with his long-awaited lady goes swimmingly. It's not often we can pinpoint the exact moment a species goes extinct, but today is that day. Thanks to his Match.com profile, this lovelorn frog may soon find a partner.